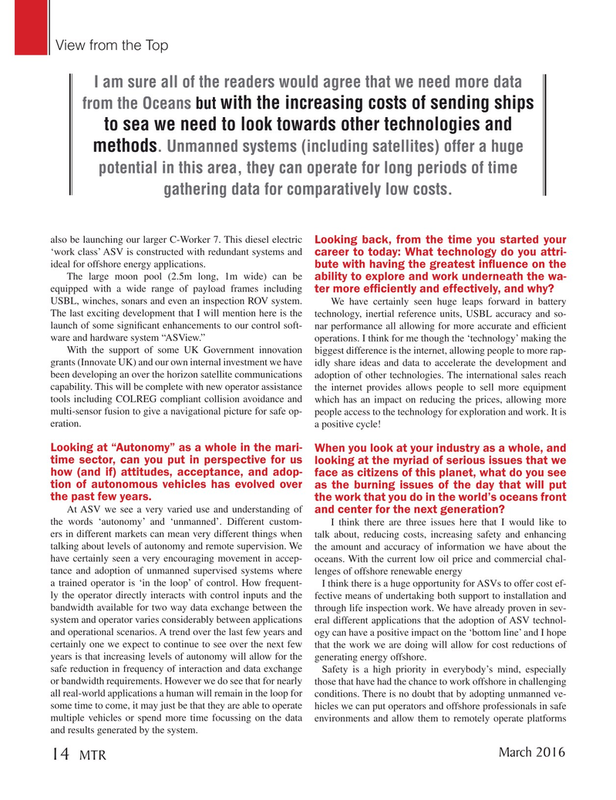 Looking back, from the time you started your ‘work class’ ASV is constructed with redundant systems and career to today: What technology do you attri- ideal for offshore energy applications. bute with having the greatest in? uence on the The large moon pool (2.5m long, 1m wide) can be ability to explore and work underneath the wa- equipped with a wide range of payload frames including ter more ef? ciently and effectively, and why?